Wenge oak frame and nickel plated steel brackets. 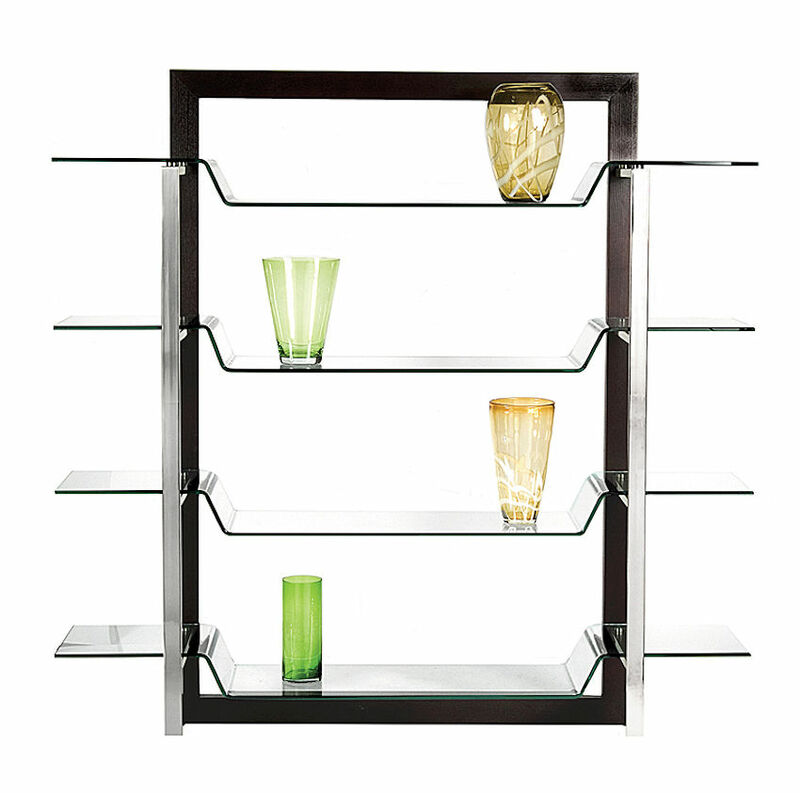 4 bent clear glass shelves. 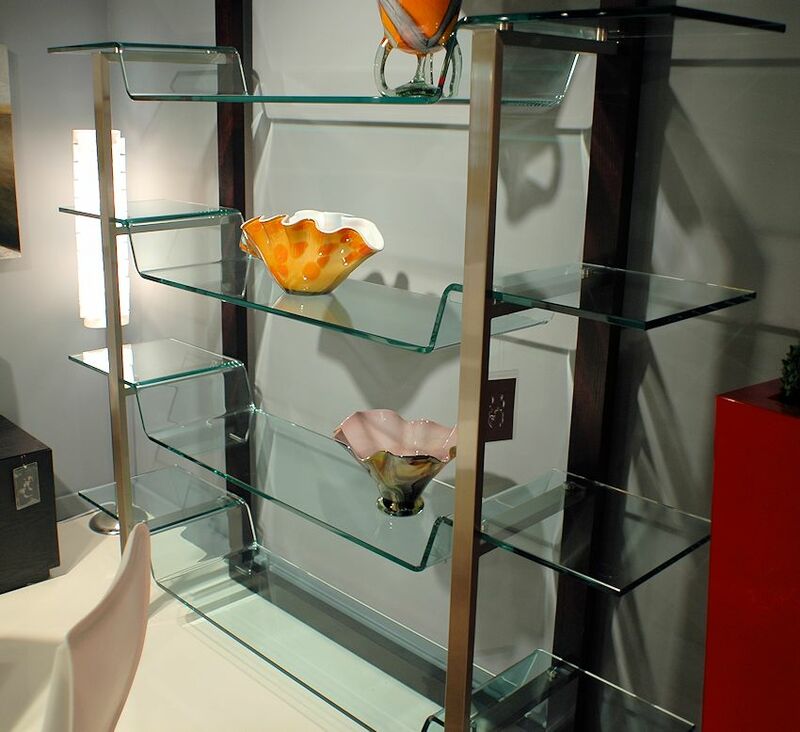 The unlighted MD-0505SC curved glass etagere on the left and the lighted DM-3023A square locked curio on the right. at our showroom located at Hilton Head Island. 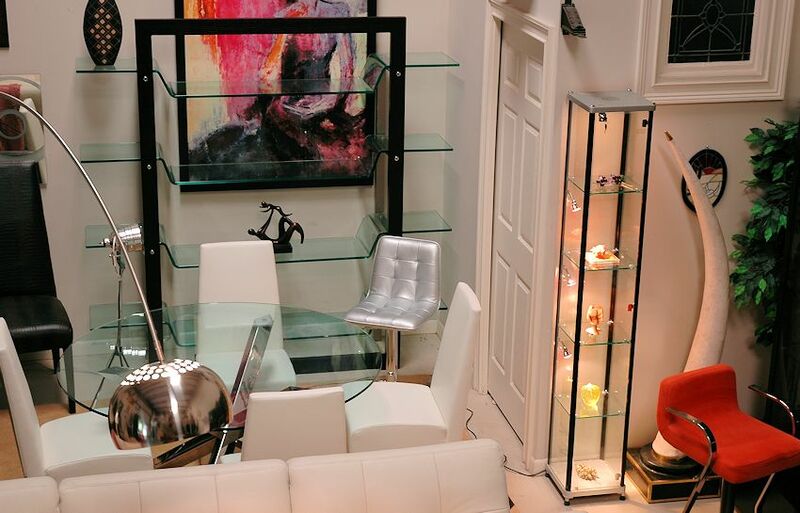 You can't find this much thick curved glass anywhere at this low price!